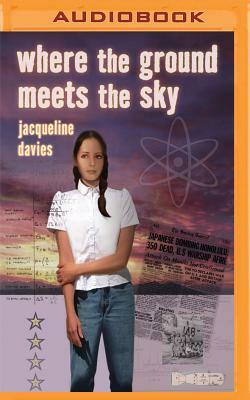 One morning, twelve-year-old Hazel wakes to discover that her father, a brilliant physicist, has moved away in the middle of the night. It's 1944, and Hazel's father has agreed to help the U.S. government develop a secret weapon that will win World War II. His decision turns Hazel's world upside-down soon, she and her mother move out west to be with him, to a strange town with no name that everyone calls the Hill. The Hill is surrounded by a chain-link fence and barbed wire. Armed guards patrol its perimeter night and day. With her new friend, Eleanor, Hazel goes on secret missions to try and solve the many mysteries that the Hill hides. Who is sending secret radio messages from the base? What happened to Eleanor's cat? And most importantly, what is the mysterious gadget that the scientists are building day and night?